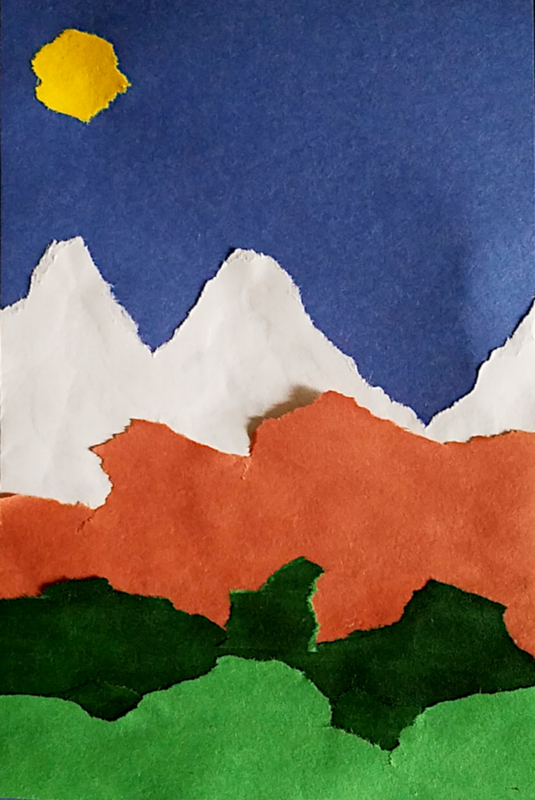 Using torn sheets of paper students will create landscape collages. 1. SWBAT learn about landscape art. 2. 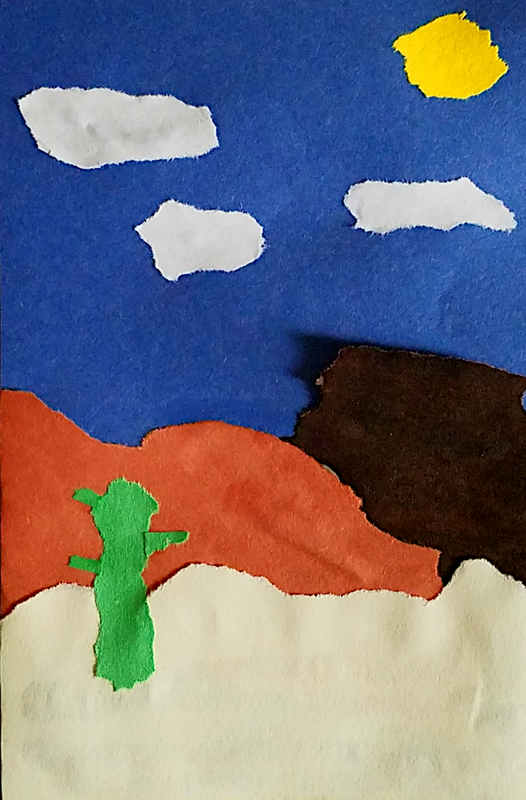 SWBAT create a landscape collage using torn sheets of paper. 1. Show students examples of landscape art and paper collages. 2. Students will decide on what type of landscape they want to make. 3. Select colors you feel will work the best, then arrange them in the order of your choosing. Set aside one sheet to act as the base that you will glue the other pieces to. 4. Tear the paper one sheet at a time creating the shape you want to make. 5. Glue or tape your paper down to your base. Depending on what you're trying to make add little details like clouds, flowers, etc. 6. Trim off any overlapping construction paper. Have students look up photos of landscapes for inspiration.